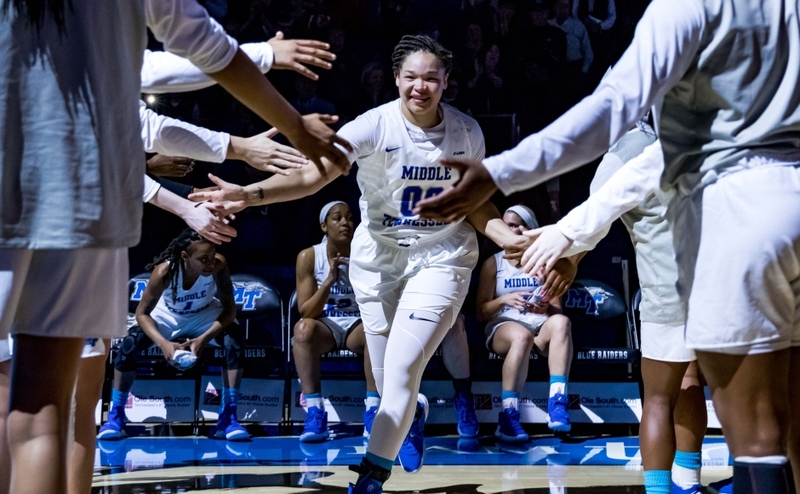 The Middle Tennessee Lady Raiders (5-1) traveled to Oxford to take on the Ole Miss Lady Rebels (6-1) on Thursday, looking for their fifth straight win to open the season. 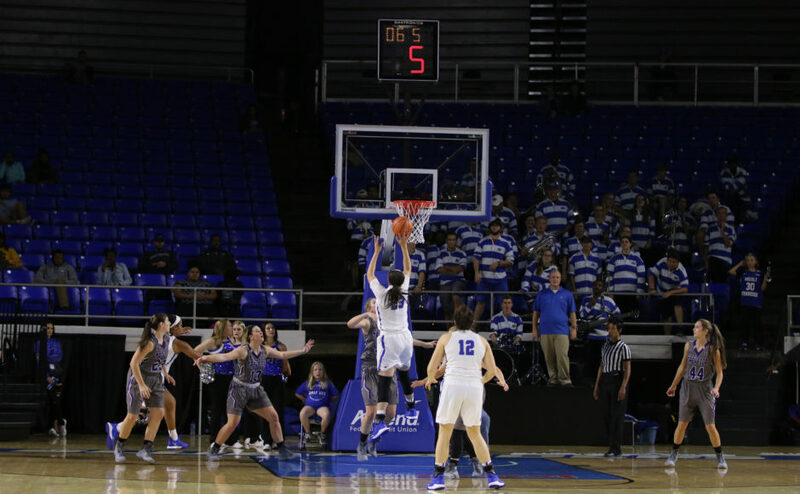 It was all MTSU in the first quarter, but the Lady Rebels turned it around in the next three to grab a 65-56 win over the Lady Raiders. The win gives Ole Miss head coach Matt Insell his first ever win over his father Rick. 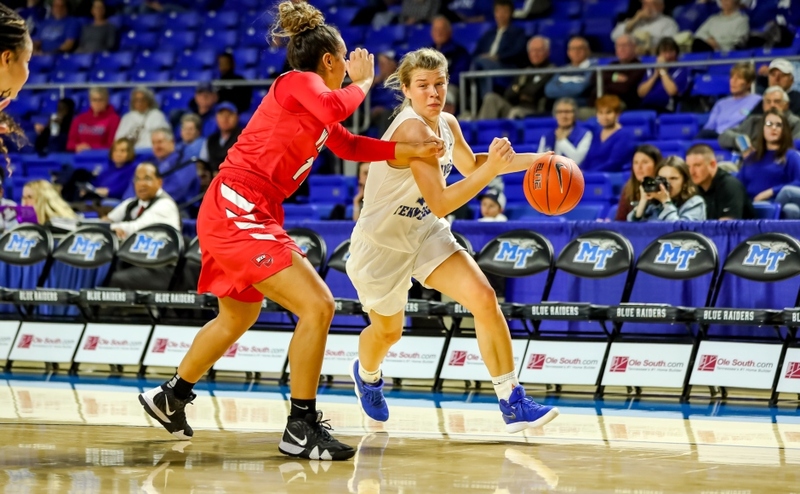 At the end of the first quarter, Middle Tennessee held a commanding 17-5 lead on the strength of seven points from senior Rebecca Reuter. During the 17-5 Lady Raider run, they held Ole Miss to just 11 percent shooting and only made one shot from the floor. 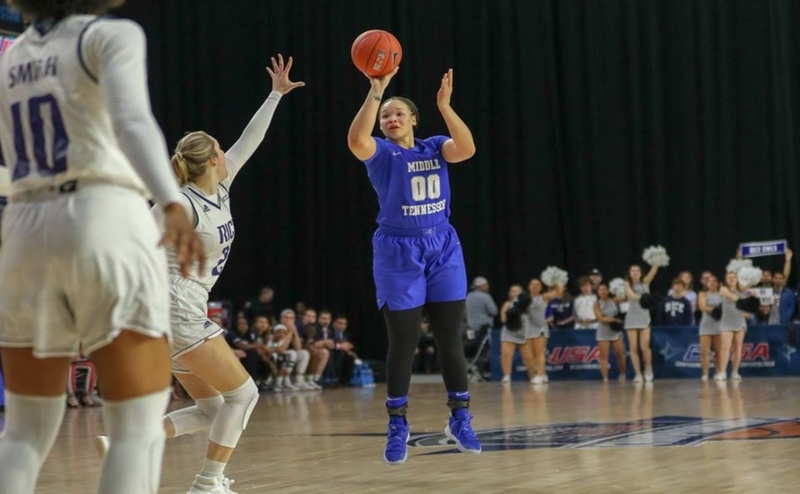 Despite nine turnovers in the second quarter and 29 percent shooting from the field, the Lady Raiders took a 26-17 lead into the locker room. With Alex Johnson on the bench for most of the first half in foul trouble, MT relied on players like Reuter, Jess Louro and Abbey Sissom. Louro knocked down two of her four shots from behind the arc in the first half and ended the game with 19 points. Sissom scored seven in the first half and finished with 10 total points. After a lackluster first half by Ole Miss, the Rebels started the third quarter on a 19-3 run to take control of the game. 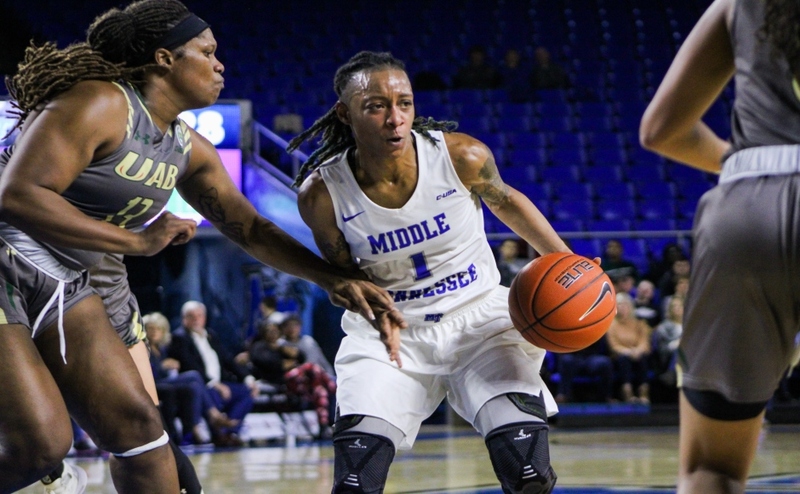 Alissa Alston was the main catalyst for Mississippi in the second half, and she finished the game with a game-high 22 points. Johnson made a late run to try and bring her team back, but her 13 second-half points were not enough. Ole Miss played suffocating defense throughout the second-half, which led to MT dropping their first game of the year by a final score of 65-56. The Lady Raiders gifted 23 turnovers to the Rebels, and Ole Miss made them pay with 23 points off of those turnovers. MT turned the ball over on 33 percent of their possessions. The Rebels went on a 19-3 run at the beginning of the third quarter, and never looked back because of it. They were lights out shooting the ball, finishing with a scorching 50 percent from the field and 57 percent from behind the arc. 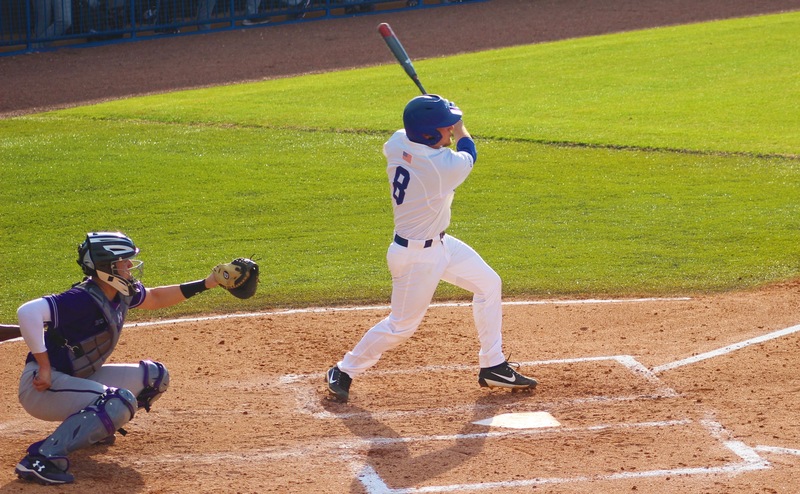 MT had no answers offensively. The Lady Raiders shot the ball at a 20 percent clip from the field and went 0-6 from behind the arc in the second half. The Lady Raiders will take on the Georgia Tech Yellow Jackets on Sunday in Atlanta at 12 p.m.